Queen Mathilde of Belgium speaks to guests during a lunch for Queen Elisabeth Competition on May 30, 2017 in Brussels, Belgium. Queen Mathilde of Belgium hosted a lunch for the Queen Elisabeth competition wearing her hair in a teased bob. 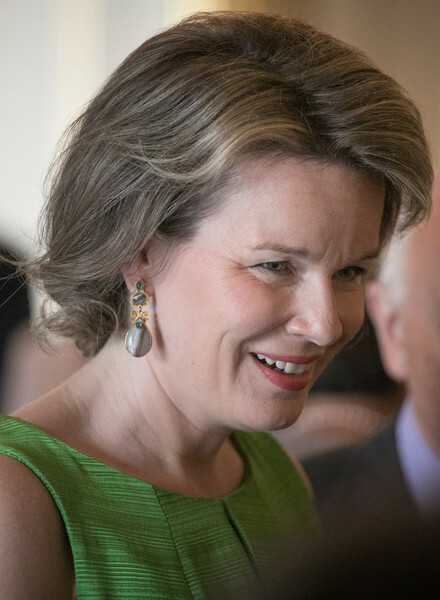 Queen Mathilde finished off her look with a pair of gemstone drop earrings.